If you’re into certification, you should be happy to know that I just received my Yoast SEO certification in WordPress from Yoast Academy. Launch Me Technologies can now proudly display the badge to the left on our website. We can also help those using the Yoast SEO plugin on their websites to achieve optimal search engine results. 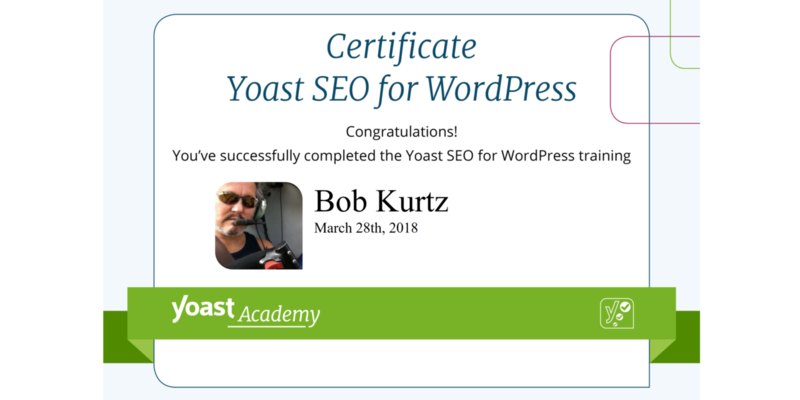 The point being, while Yoast SEO certification is important and I’m glad I went through the training to receive it, it’s only one piece of a very large puzzle. Yoast SEO is a fantastic WordPress plugin, and I highly recommend it to anyone with a WordPress website. I doubt that someone with very little SEO experience will become an SEO expert by taking this course. 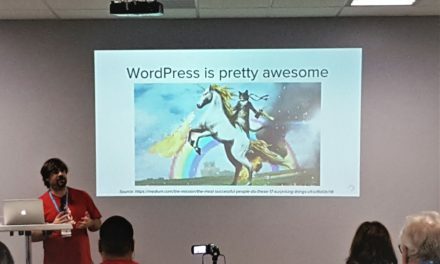 They should, however, become proficient at using the most important features in the Yoast SEO plugin, which is not nothing. Part of the problem is that Google is something of a black box, since their algorithm is a closely-guarded secret. But in reality, that is perhaps the least of the issues facing a would-be SEO expert. There’s enough information floating around (much of it from Google itself) to understand how to make your website play nice with Google. The real problem is that, as in everything where money is involved, many people try to cheat the system. Because so many SEO “experts” try to outsmart Google, in order to fulfill their mission of returning useful, relevant results, Google must make it hard to game the system. That means making it hard to (illegitimately) reach the top of the search results. 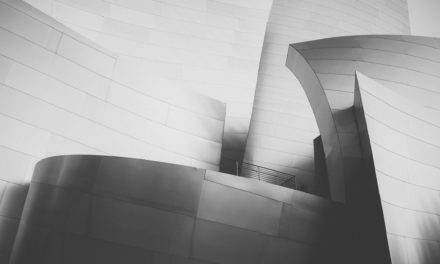 In the world of SEO, there are basically three types of optimization: White Hat, Black Hat, and Gray Hat. This should be fairly self-explanatory, but in case it’s not, white hat = good (ethical or in keeping with search engine policies), black hat = bad (unethical or in violation of search engine policies), and gray hat = somewhere between black & white. There is another type, which mostly coincides with the white hat approach, called Holistic SEO. Yoast, the company from which I just received my certification, tends to favor this last approach. I also primarily follow the holistic approach, as it is the one that generally provides the best long-term results. Yes, many black hat techniques can bump your website up in Google temporarily. But Google learns fast and adapts constantly. In most cases black hat results turn into penalties that trash a website’s ranking or even remove it altogether. What is the Yoast SEO Plugin and Why Should I Use it? The Yoast SEO plugin is a WordPress plugin that assists in managing SEO on a website. It does not do everything (it’s unlikely that any plugin or automated tool could). It does help with the technical aspects and provides expert advice, which can make an admin’s work much easier. Even if you know nothing about SEO, I recommend the plugin. (There’s a reasonably-priced premium version, and a free version that may be adequate depending on your needs). You can either learn how to use it yourself, or hire a (preferably certified 😉 ) expert to help you. Believe it or not, I first learned of the Yoast SEO plugin while I was marketing a Bed & Breakfast I owned in Hawaii. One of the guests at our B&B told me about it and how much it had helped their website. That was maybe five years ago, and since then the plugin has been improved dramatically. (I found the version at that time somewhat confusing, but I’ve learned a lot since then. The Yoast SEO plugin has improved quite a bit as well.) It’s not a silver bullet that will automatically put your website at the top of every search engine query. What it is is a powerful tool that will help you optimize your website to its fullest potential. If you run a small, unknown website, it won’t make you #1 on Google for the most popular search terms. Nobody can do that. It will help you put your website in the best position for which it is realistically a viable contender. And it will help you work your way up the ladder to attain the search engine position you envision in your dreams. 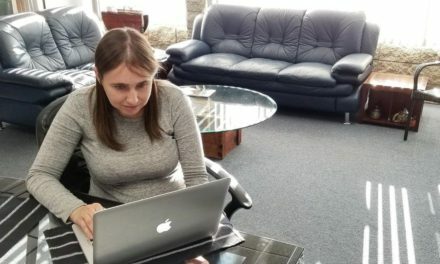 From here at LaunchMe.com mission control, I wish you great success and Godspeed.